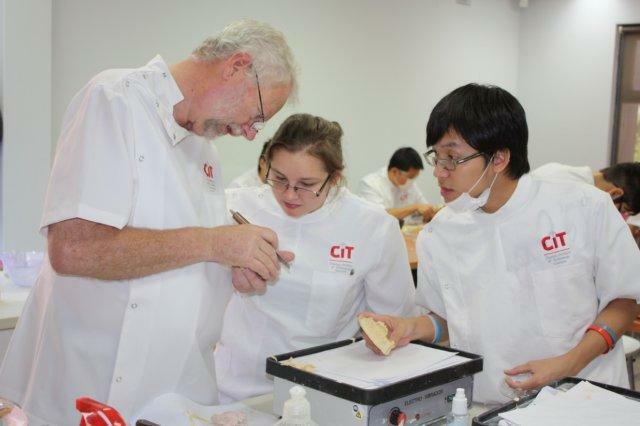 Dental Laboratory Assistants work for Dental Technicians, Dental Prosthetists and sometimes Dentists. The Dental Laboratory Assistant’s role includes a variety of duties that are focused on the fabrication of fixed and removable dental appliances. They work closely with the Dental Technician and construct some of the appliances that a Dental Technician manufactures. A Dental Laboratory Assistant is a member of the dental team whose skills include the design and construction of dental appliances including dental models, registration rims for denture construction, impression trays, mouth guards and some other thermoformed appliances. Under the supervision of a Dental Technician, they work from a written prescription from the Dental Prosthetist, Dentist or Specialist Dentist. The Dental Laboratory Assistant translates two-dimensional design diagrams and written instructions into three-dimensional products according to accepted biological and mechanical principles. A Dental Laboratory Assistant career would be a good entry level dentistry position for you if you like working with tools and equipment, can apply a high level of attention to detail and precision (accurate), have good time management (efficient) and possess good eye-hand coordination and manual dexterity. In addition, if you have an artistic ability to construct form and design you have some of the qualities that make you well suited to pursue a Dental laboratory Assistant career. To be considered a place at Charles Institute of Technology, you need to complete an enrolment form, pay a non-refundable fee of $100 registration fee (GST inclusive), your tuition fees and entry requirement evidence. After receiving your enrolment form, entry requirement evidence, tuition fees, and signed terms and conditions on the application form, a Confirmation of Enrolment will be issued to you. To be awarded with the Certificate III in Laboratory Assisting students must complete 11 units of competency of this qualification.